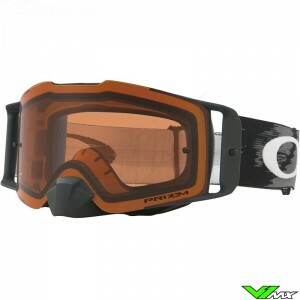 The Oakley Frontline is one of the best motocross goggles on the market. It is packed with innovative features that enhance the protection, visibility and comfort during riding. 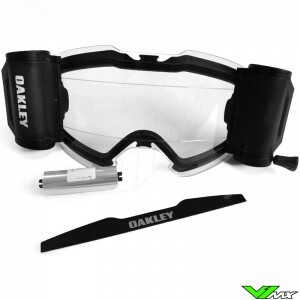 Oakley’s experience and collaboration with the best motocross riders in the world has resulted in a unique motocross goggle. 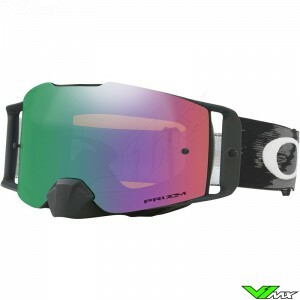 The Oakley Frontline lens is pre-curved, this has several advantages. The lens is injected with high pressure which prevents visual distortions and provides a clear unobstructed view. 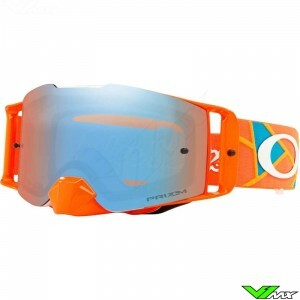 Additionally, the pre-curved lens provides extra strength because it is not in tension in the motocross goggle. 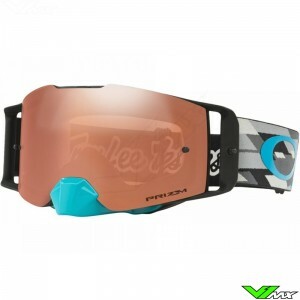 The lens is made of Plutonite, a very strong material that is optically pure. 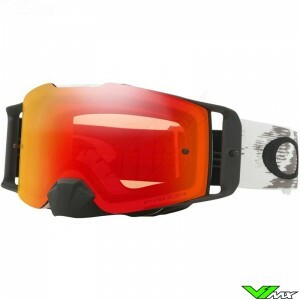 It is the same material that is being used in the popular Oakley Airbrake goggle. The use of Plutonite in combination with the Ridgelock lens fastening system provides high levels of protection against impacts from sand, branches and stones. 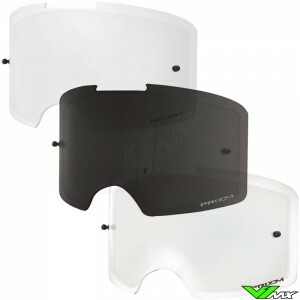 The Frontline features a nose protector for additional protection. 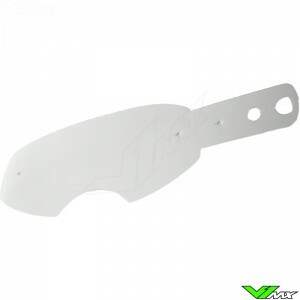 The nose protector is removable, so that the goggle can be adjusted to the rider’s preference. 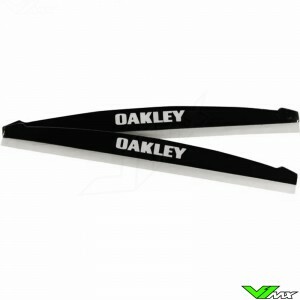 The strap is 50mm high and has 3 stripes of silicone for a good fit on the motocross helmet. Additionally, 3 layers of facial foam provide a comfortable and moisture-absorbing fit and ventilation is optimized with various ventilation ducts. 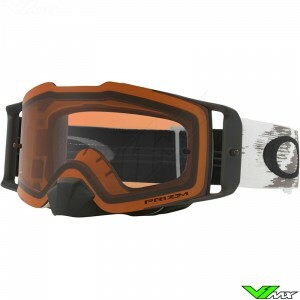 Do you want more information about the Frontline or other motocross goggles? Contact us, we will be happy to help you make the right choice. 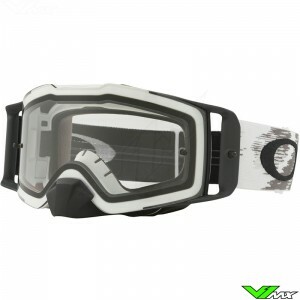 With the wide range of motocross goggles you can always find a motocross goggle that meets your requirements.